It’s the most wonderful time of the year… our holiday hack! This year, Cyber-Duck took Christmas to all new dimensions. We created an interactive #AugmentedReality Christmas card - the animation will burst out of your screen! 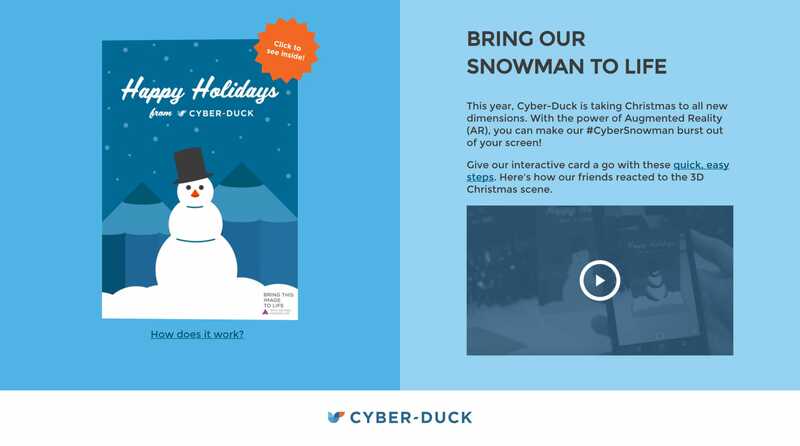 Bring our friendly snowman to life on our microsite or send one to a friend.